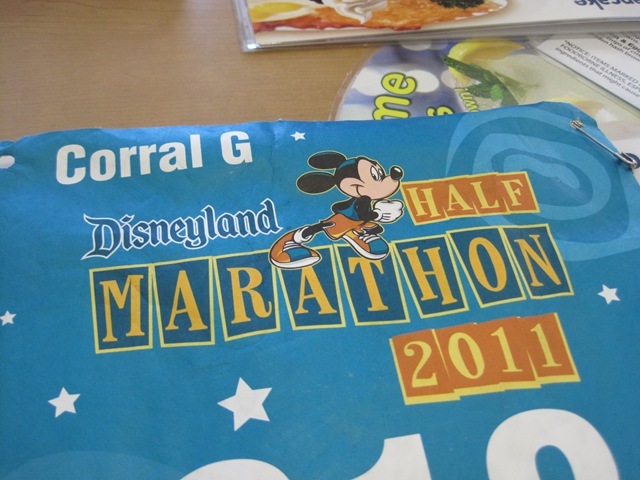 While my friend Cher ran her Disneyland Half Marathon race, she inspired me to do my own workout at the gym. I spent 45 minutes on the elliptical and all I can think of was her having so much fun at the race with Mickey and friends. I think I have the racing itch again. The race was sold out and I knew it was going to be crazy getting out of Disneyland area once the race was over, so I told her I would pick her up and whisked her away from the madness and eat brunch. Bad picture taken from the car but it was a drive-by and pick-up kind of thing so we can get out of there. Most of the streets were still closed. I ordered from the restaurant’s Simple & Fit menu. I had the Blueberry Harvest Grain N’ Nut combo. 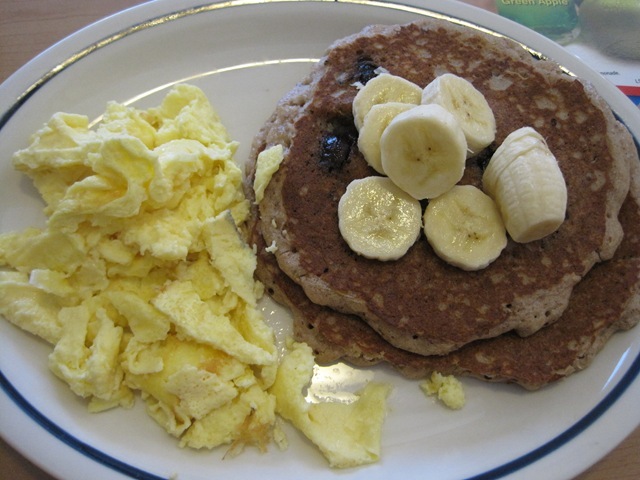 Pancakes loaded with blueberries topped with fresh banana. 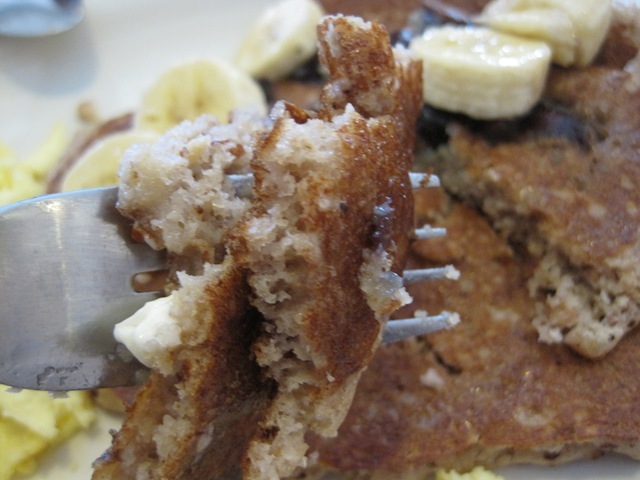 The pancake batter had nuts mixed in so there was a little crunch in each bite but it was still fluffy. I loved it. 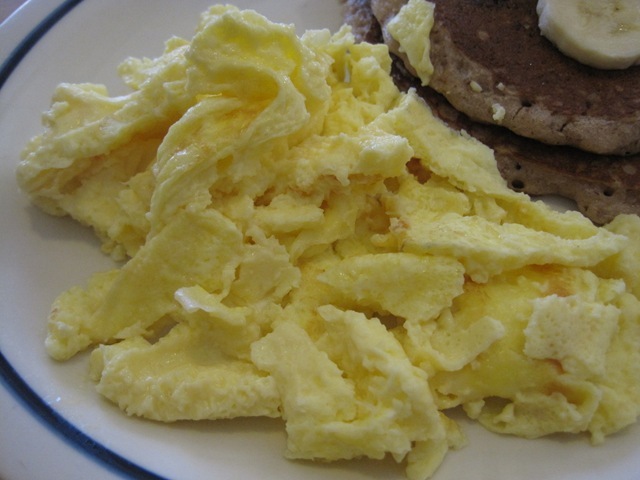 On the side, they served it with egg substitute. I think next time I will ask for real eggs instead of the substitute. They tasted like yellow egg water with no texture. 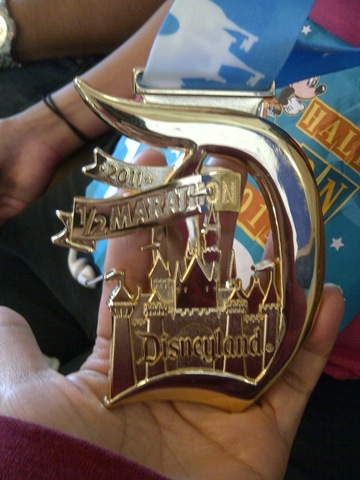 Look at her race medal. It was huge, heavy and shiny. I had that the last time I was at IHOP several months ago. Was really good! OoOO I had no idea that they have a healthier menu option! 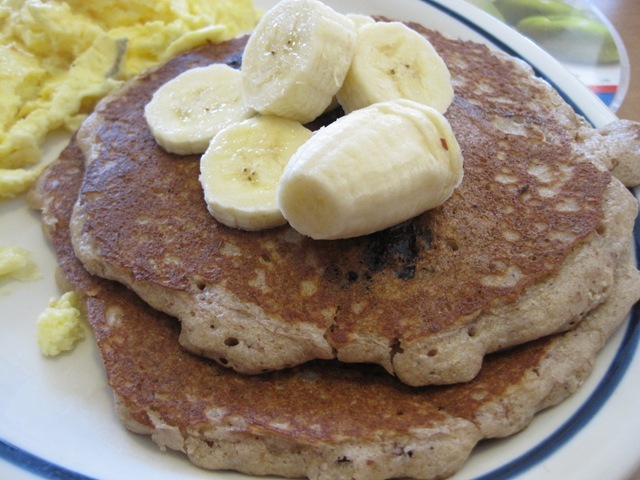 The pancakes look good, just like what we would eat at home! 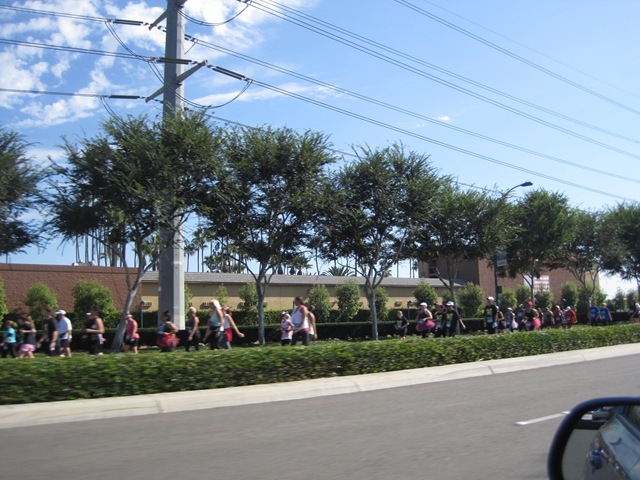 😀 And I had no idea Disney had a race! that race looks so fun, I need to put it on my to do list for next year! I always have the habit about finding out about cool races and then having them be sold out already! Always a bummer. drive by and pick up kind of thing, ha!! i would have looooved to do that race. wow what a cool metal to have on the wall. Awesome! Your giving me the itch to want to try running a marathon.. It really was a cool medal, heavy and shiny and so glossy. I loved it. I am going to continue to run consistently so I can run a race if I decide to sign up last minute. 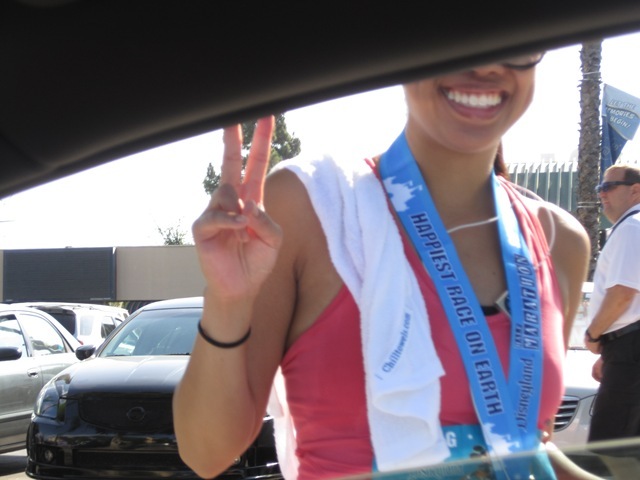 I think half marathon might be my longest race…I can’t fathom running a full marathon without hating it. I don’t blame you running when you can’t see the finish line really cramps my style it’s really easy to give up at that point.